Tired of seing the word mousse misused? 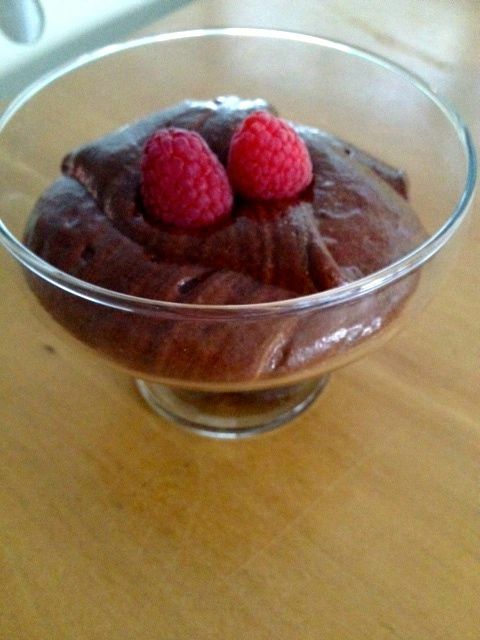 Mousse means light and airy, not thick and dense as in most chocolate mousse desserts I come across. Cream is added and who knows what else, but the result is far from the original recipe . Don’t panic, this one is still pretty easy to make and well worth the effort. Melt chocolate and butter au bain marie . Let it cool. Whip egg whites and add sugar slowly. When it reaches soft peaks, its ready. Add egg yolks to cooled chocolate and whisk well. Fold in egg whites slowly and carefully until it is all incorporated and volume has doubled.